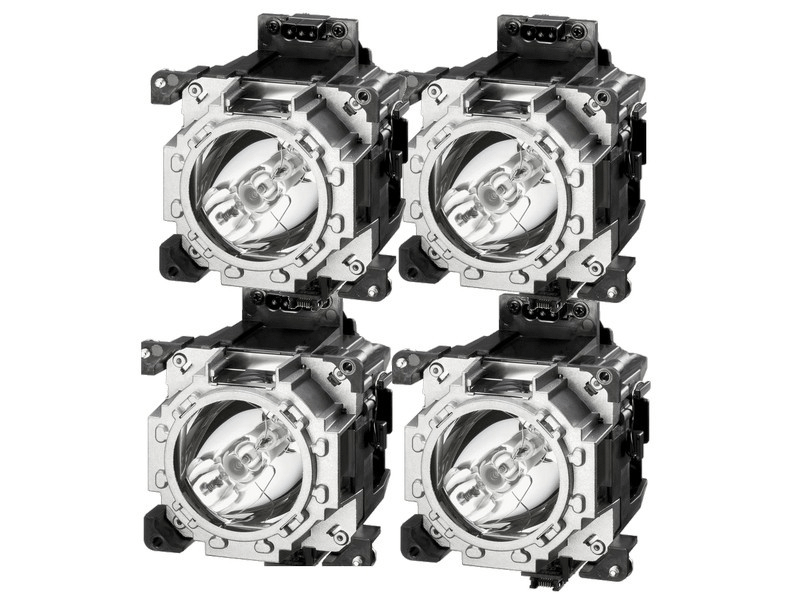 The ET-LAD520F Panasonic projector lamps replacement (4-Pack) are a genuine original OEM Panasonic Quad-Pack lamps with 432 watt UHM bulbs inside. This Quad-Pack is rated at 20,000 lumens. The ET-LAD520F 4-Pack has a rated life of 2,000 hours. Beware of lower quality lamps with generic bulbs inside that have poor construction, reduced lumen output, and shorter rated life. ET-LAD520F Panasonic Brand Original Projector Lamp Replacement. Contains 4 lamps. Very pleased to receive the original lamp on the day it was promised. Will return to Pureland Supply for our next one.